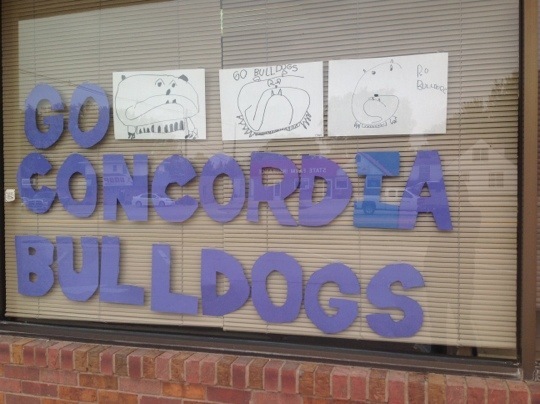 We’ve been visiting Concordia for some walking field trips, and since this weekend is Concordia’s Homecoming, I decided we should make some window decorations to cheer them on. Done and done! After practicing, this is what we can do! And…… this is…also what some of us can do. I groove on its eyeless-zombie vibe, as I do the hallucinating panda in the banner photo. Those are great bulldogs! …and zombies and pandas. Lauren showed me how to do it. 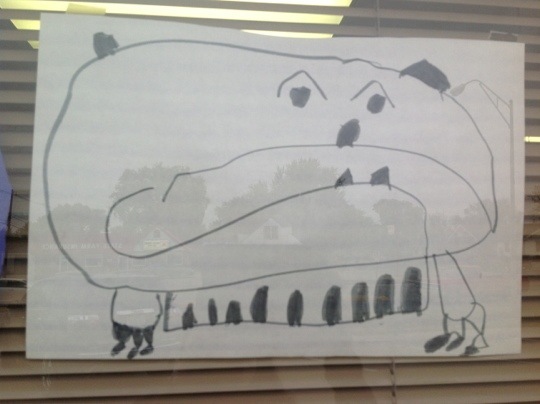 Now I too can draw a bulldog. Those pictures are fantastic! 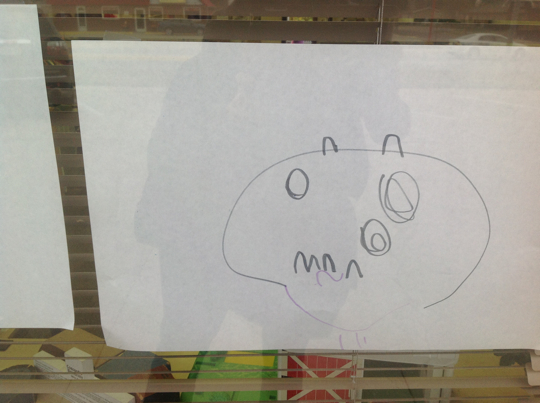 Way to go pre-schoolers! 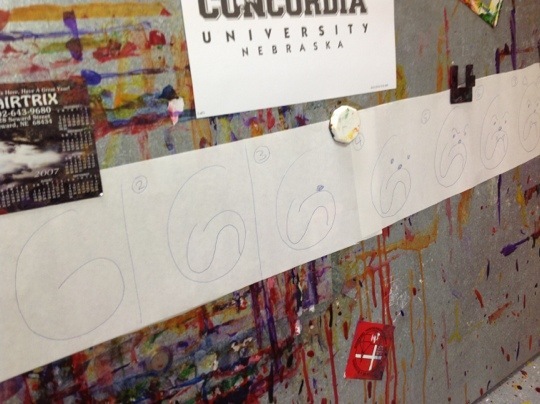 And I’m with Brad….what else can you teach us all to draw … simply.